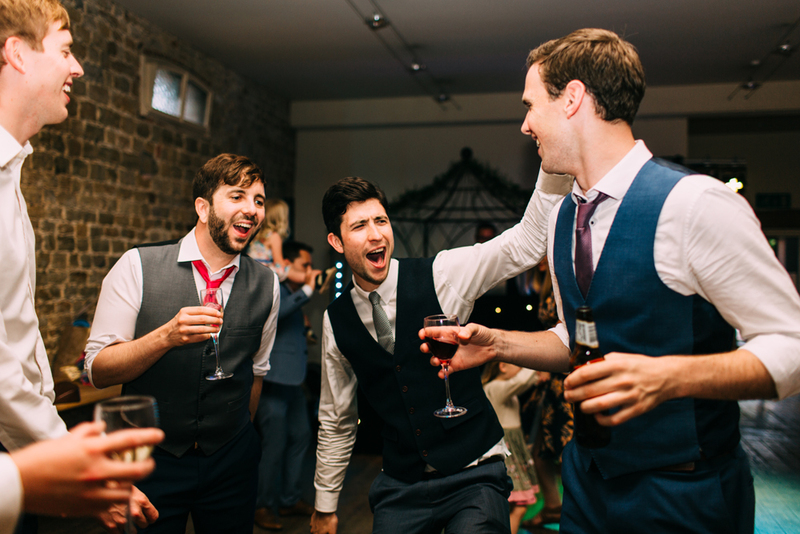 How to Choose the Best Brighton Wedding Playlist Ever? The music at your wedding sets the tone for your perfect day. And I’m not being dramatic. It’s widely agreed that music helps you both form memories and recall those memories later. So your selection of songs will put you right back in your special day. The chances are you haven’t had much experience putting together a wedding playlist. What music genre is best? How do you suit all of your guests? Where do you get the music? Making the perfect playlist can get intimidating. That’s why I want to help you make the playlist of your dreams. Making the best Brighton wedding playlist ever is all about crafting a well-balanced list of songs that reflect your own taste in music. After all, it’s your special day; you should get to choose the music. To give you a starting point, let’s get started with a few popular ideas. First of all, there are some songs you just can’t leave off your Brighton wedding playlist, “the classics”, which will bring some charm to your wedding day. Yes, I know I just said your playlist should reflect your likes and dislikes. If you don’t like these songs feel free to leave them off the list, but we couldn’t resist at least mentioning these classics. Etta James has partners singing, “and here we are in heaven,” as you twirl along the dance floor. Sometimes the hits of today are modern, and sometimes they throw back to yesteryear. Let’s take a look at the 2018’s top wedding playlist songs from the UK. Clearly, we’ve decided that we’re interested in both a little new and a little old when it comes to our wedding playlists. Here’s the big question: You have a rough list of songs but you’re not sure how to put together a mix that makes sense. That’s why you should seriously consider hiring a wedding DJ. We’re not talking a scratch-the-record type DJ, but rather someone who knows how to create a cohesive playlist that flows with your wedding. A good DJ controls the mood in the room. They can sense that an on-the-fly song change might help create more energy in the room. Or, they might see the need to slow things down. Choose a DJ that wants to work with you to create your playlist. They’ll help you assemble a rough order of what to play and when to play it. Today, that means creating a playlist using the streaming service of your choice. Music streaming platforms offer the best way to choose wedding songs you’re interested in referring to your DJ. You’re able to access an enormous amount of music and choose what songs set the mood for your day. People make wedding playlists, all the time. In fact, people who aren’t even getting married make wedding playlists. Search “wedding” on any music streaming service and you’ll end up with countless wedding-centric playlists. I’m even happy to share mine with you if you wish, I made a ‘daytime’ and an ‘evening’ playlist, and it was actually really fun making it. I asked all of our guests for songs they would like included too! Streaming services are excellent for finding new music. Found a wedding song you’re interested in? You can easily look through related artists and find other songs you’re interested in playing at your wedding. I’d highly recommend using the related artist selection to broaden your wedding music horizons. Your wedding playlist music helps you both enjoy and recall your wedding day. However, recollection can only do so much. As they say, a picture is worth a thousand words. And a wedding picture? They’re worth far more than a thousand words. Getting pictures of your special day ensures you’ll never forget your wedding memories. That means remembering vows, friends, family, dances, rings, and more. There’s nothing about your day that you shouldn’t document. And that’s where I come in! I offer the full photography package for your wedding needs. If you’re interested in photographing your wedding (and you should be! ), make sure you check out my work. My photography expertise has taught me the secrets to capturing your special day in all its glory. I take, touch up, and process thousands of wedding photographs every year. Likewise, I have the photography skills to ensure I’m getting the perfect photo, all the time, every time. I want to help make sure your wedding is perfect in practice, and in memory. So let me help you make happy memories.